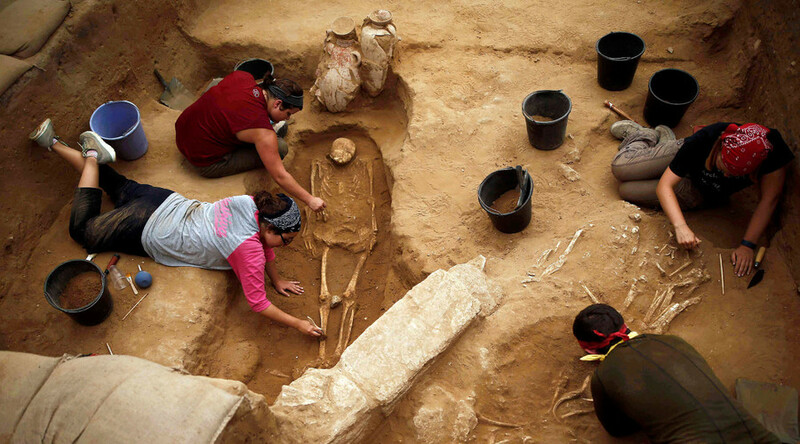 The discovery of the first ever Philistine cemetery outside the walls of the biblical city of Ashkelon in Israel may finally help “unlock the secrets” of the origins of the ancient Philistines. 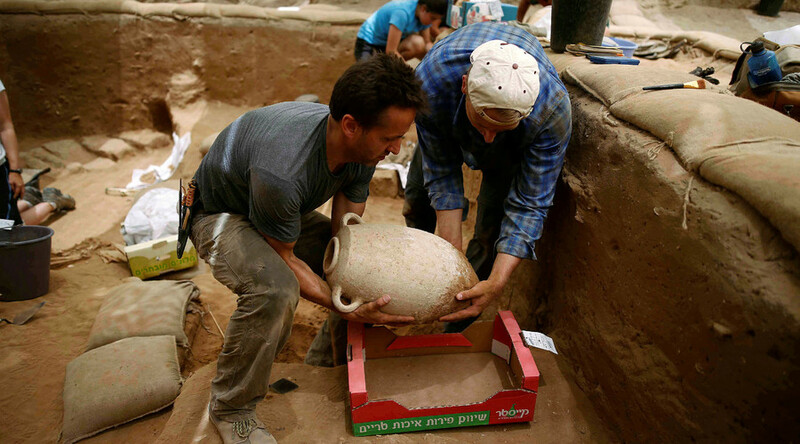 "After decades of studying what Philistines left behind, we have finally come face to face with the people themselves," Daniel M. Master, professor of archaeology at Wheaton College and one of the leaders of the excavation, told AP. "With this discovery we are close to unlocking the secrets of their origins," he added. 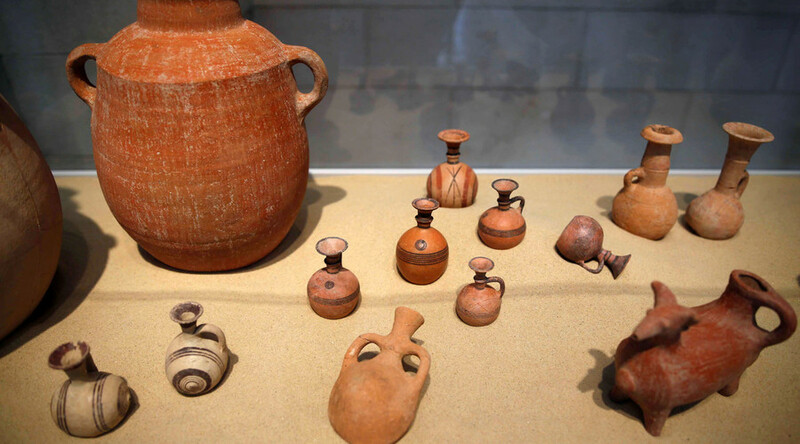 The Philistines left behind a lot of pottery, but little biological trace of them had been discovered, however. In 2013, archaeologists found what is said to be the first Philistine cemetery ever unearthed, containing the remains of over 200 people. The discovery by the Leon Levy Expedition, a team of archaeologists from Harvard University, Boston College, Wheaton College in Illinois and Troy University in Alabama, was made public on Sunday following a 30-year excavation. The team is currently busy performing DNA tests on bone samples, dating back to between the 11th and the 8th centuries B.C., AP reported. Although a few human remains at Philistine sites have been unearthed in the past, they provided too small a sample to make any conclusions, Master told AP. He added the archaeologists kept their landmark discovery a secret for as long as three years, until the end of their dig, in order not to attract ultra-Orthodox Jewish protesters. The ultra-Orthodox have previoulsy staged protests at excavations where human remains were found over fears that if the remains happen to be Jewish, disturbing them would violate a religious ban. "We had to bite our tongues for a long time," Master said. 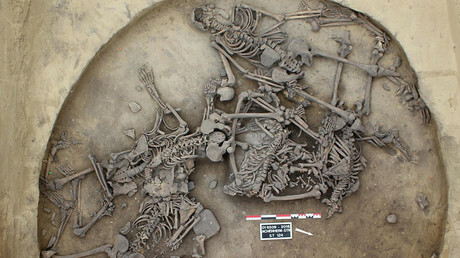 “Ninety-nine percent of the chapters and articles written about Philistine burial customs should be revised or ignored now that we have the first and only Philistine cemetery found just outside the city walls of Tel, one of the five primary cities of the Philistines,” Lawrence Stager, Dorot Professor of the Archaeology of Israel at Harvard University, told Tazpit News Agency. Both archaeologists and biblical scholars have long believed the Philistines came from the Aegean region. Experts were divided on where exactly in the Aegean region the Philistines came from, with opinions ranging from the islands of Crete or Cyprus to Anatolia, modern-day Turkey. 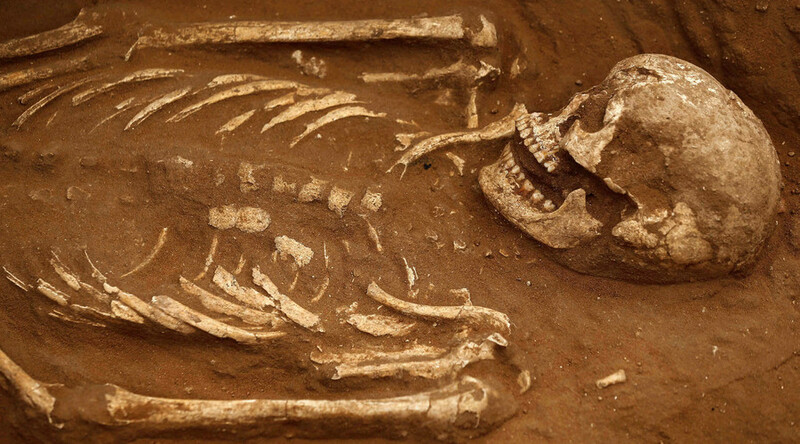 Archaeologists hope the bones may finally say for sure. Yossi Garfinkel, an Israeli expert on the period, has already hailed the cemetery find "a very significant discovery indeed."